A PUBLIC, pre-arranged bare-knuckle boxing match between two young men outside a church has been described as “outrageous thuggery” and is being investigated by gardai. A video of the Friday evening fight in Croom, which was posted to Facebook, had almost 17,000 views before it was deleted this Wednesday. Several hundred people had liked and commented on the video. The fight took place in the car park outside the church in Croom last Friday evening, at around 9pm. Several ‘referees’ can be seen in the video, as well as up to 100 spectators cheering them on. The two men involved in the fight are believed to be around 20 years old. One is from east Limerick and one is understood to be from the Croom area. But young people from all across Limerick, including people from the city, were present at the arranged fight. Both of the men were clearly identifiable in the footage. The video begins with the two squaring up in a clearing among the dozens of spectators. “Let’s go lads,” signalled the start of a fight that would last around five minutes before its conclusion. Appearing to be a highly organised event, several referee figures jumped in at various points to pull the pair apart. At the end of the video, one of the young men can be seen with blood on his face and nose, while spectators cheered and congratulated the other man, who had ‘won’ the fight. There were a mixture of men and women present to watch. TD Niall Collins said that the behaviour amounts to “thuggery”. 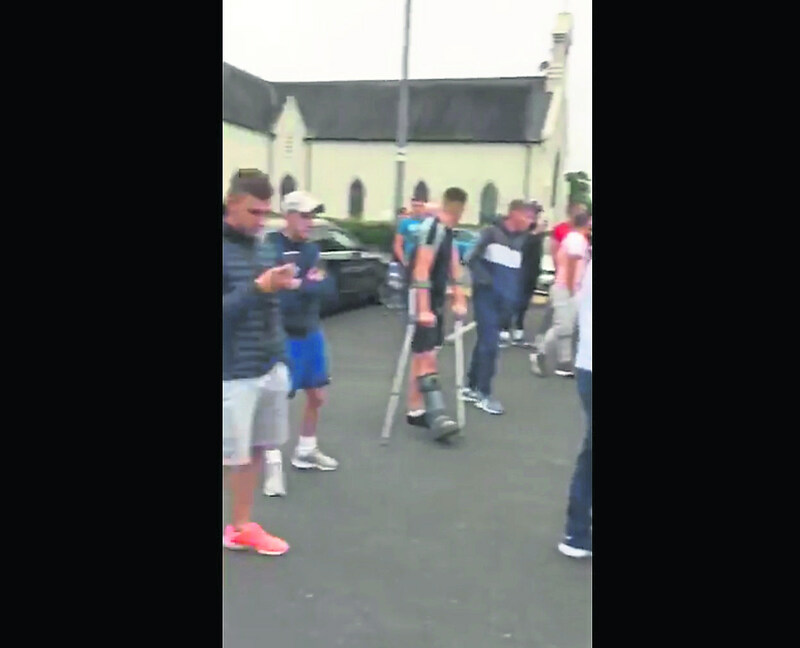 “It’s outrageous thuggery on display in Croom, and it’s a huge insult to the local community that this took place in broad daylight in the shadow of the church,” he said. “Members of the community in Croom have been in touch with me and they are completely angered. They are seeking assurances from An Garda Siochana that this won’t reoccur. “I’ve been in contact with An Garda Siochana in relation to this, I have asked for it to be investigated,” added the Patrickswell-based TD.